Citrus Limon is sturdier, longer-lasting and its scent invokes freshness and are particularly fragrant and have the best staying power. The citrus aromas are often useful in curbing stress and anxiety, as well as helping with digestion and nausea. Because of its therapeutic properties, Citrus Limon is a popular ingredient in aromatherapy products. 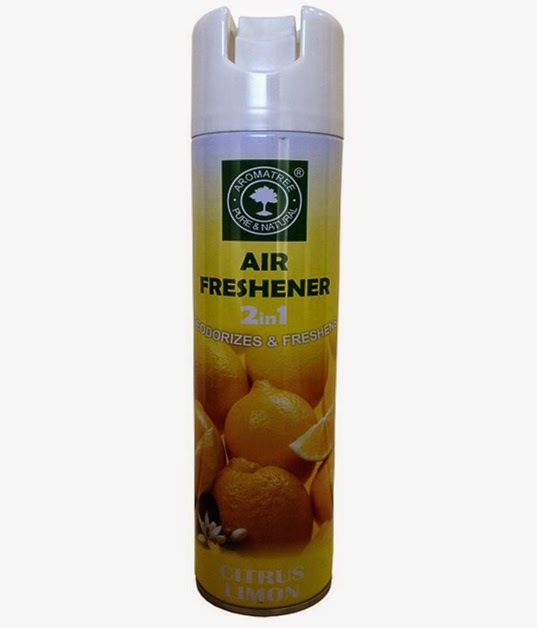 2 In 1 Citrus Limon Air Freshener Spray deodorize and freshen large areas with ease. They are free from ozone depleting substances and are environment friendly. They provide lasting freshness for almost 2 hours in closed rooms and are most economically priced.